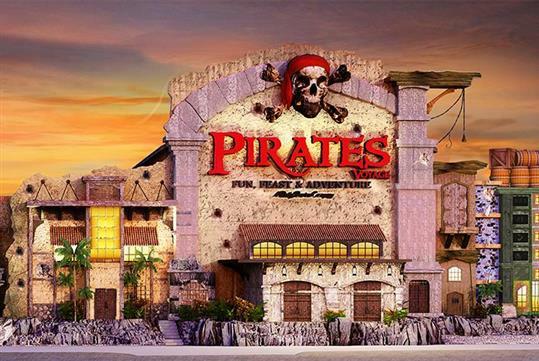 Swashbuckling pirates are invading Pigeon Forge! 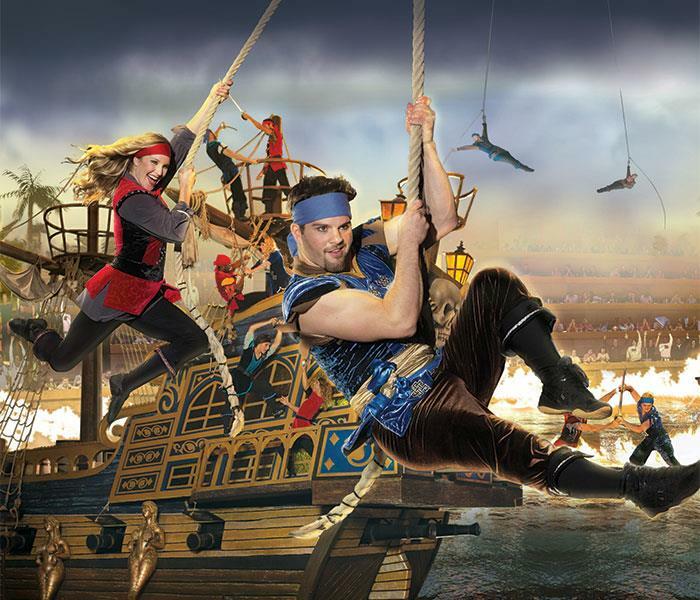 The popular Myrtle Beach show, Pirates Voyage Dinner & Show, comes to Pigeon Forge in 2019. Watch as the Crimson and Sapphire pirate crews battle it out on the gigantic indoor pirate ship. 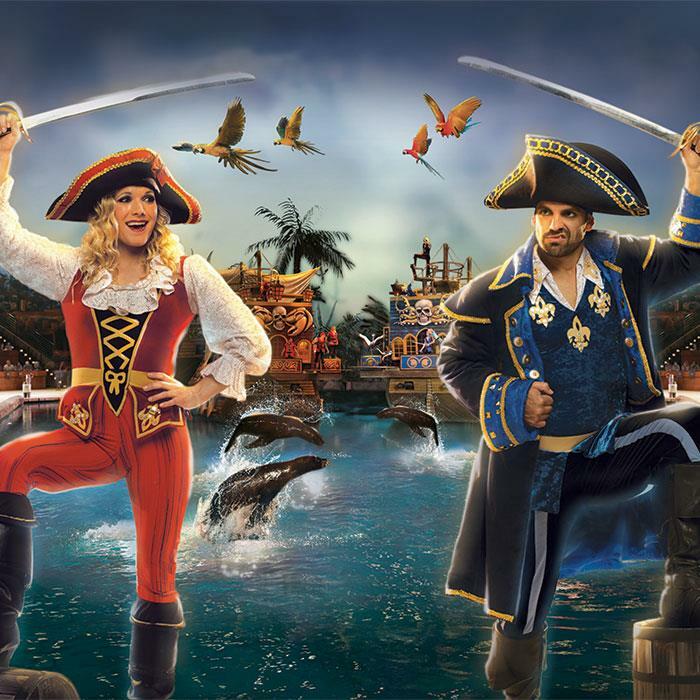 Featuring an original music score, live animals, competitions, audience interaction, and so much more, Pirates Voyage is fun for the entire family. Shows begin in the summer of 2019. 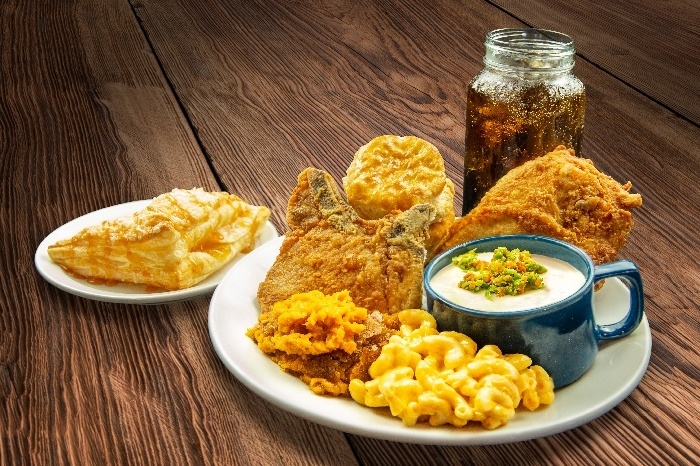 Come hungry and indulge in a four-course pirate feast. Keep an eye out for the stunning waterfall entrance. After nearly a decade of rave reviews in Myrtle Beach, South Carolina, Pirates Voyage Dinner & Show, A Dolly Parton Company, is slated to open in Pigeon Forge in late Spring 2019. 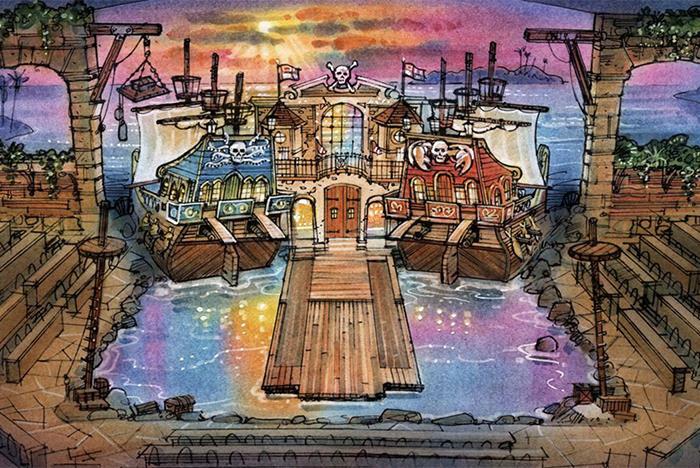 The dinner show will be the stage for Crimson and Sapphire pirates to battle on deck, in the water and in the sky above their full sized pirate ships in a 15-foot-deep indoor lagoon. Be amazed by beautiful mermaids, tropical birds, and much more all while you enjoy a fabulous four-course feast. **Vegetarian and gluten-free meals available upon request. 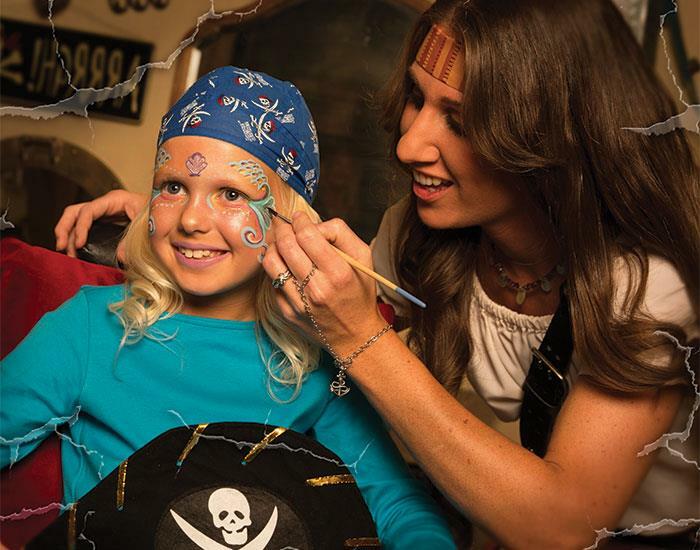 In November and December, Pirates Voyage will transform into a holiday celebration. What is the address of Pirates Voyage Dinner & Show? What type of show is this? Pirates Voyage Dinner & Show is a dinner show featuring family-friendly entertainment and activities. Absolutely. Pirates Voyage was designed to entertain audiences of all ages. I am bringing my toddler (younger than 2). Do I need to purchase a ticket for him/her? Children ages 0-2 may sit on the lap of an adult during the performance. A limit of 1 lap child per paid adult applies. You will want to arrive at least 50 minutes prior to show time. In the Pirate Village, you can wet your whistle with pirate-themed beverages and delicious snacks. A cash bar is available. No trip to Pirates Voyage is complete without watching your child’s face light up as they are transformed into a real pirate or mermaid before the show. No. Cameras and recording devices are not allowed. The theater has professional photographers on-site who take your family or group photo at the beginning of your experience. They deliver the photos to your seat, where you have the option to purchase or not. The show is approximately 1 ½ hours long. The show is performed in a 30,000 square foot arena.